Winters bring a delightful change in the menu with soups, baked food and a cup of freshly brewed coffee. But there is something more to it! The tasty nutritious vegetables and fruits of the winter season cannot be overlooked. These fruits and vegetables like apples, grapefruit, pumpkin, sweet potatoes, pears, and sprouts add color, flavor and nourishment to your meal. To guide our readers for a delicious winter food menu every day, we have compiled a list of fruits and vegetables available in the season to choose from. Time is flying by and the days have become shorter. If you have noticed, Ramadan each year goes by even faster than the previous year, leaving behind some hopes and promises to make our next Ramadan even better. Do you remember how productive your last Ramadan was? Any regrets? Wish to manage things and achieve time for Ibaadat? You will find the answers to your confusions in this article. The purpose of choosing this topic was to help our sisters in planning their Ramadan to get maximum rewards out of it without ignoring the responsibilities of home and kitchen. Key to success in all matters is to plan things before hand. In the same way if you plan your Ramadan you can succeed in your aims of management. Kitchen is no longer a corner of the house where the meals are prepared for the household. It is now the state of the art room for the family to share their special times and enjoy meals. It is designed with the same dedication as any other room of the house. Kitchen design is now more of a fusion through style and comfort with spacious counters, pull out systems, corner drawers, space saver cabinet systems, utensil racks, , bakery rack, dish washer, oven integration and sliding drawers for knives and gadgets. Professional help is usually taken in designing the modern or contemporary kitchen. In this article we will talk over different ways to design a kitchen, special kitchen lighting, suggestions and tips for small kitchens, kitchen triangle concept and much more. 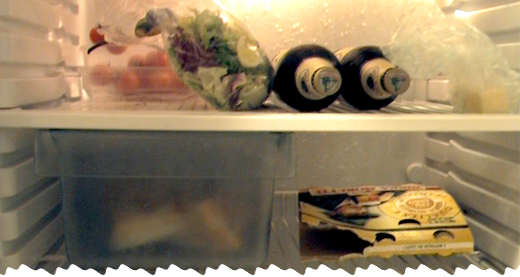 Considering refrigerator as a magical place where anything can be stored and stay fresh forever is an ambiguous idea. We normally convert our refrigerators into a store room with stale, expired and unhealthy foods. Calculating the calories in a cheese dip or a double beef burger is normal for us but what about the calories we store in our fridge? Let us peek in your refrigerators today and highlight 10 worst foods in your fridge that are better to avoid for health reasons. Winter is the season which makes staying at home more comfortable and family time becomes special. This means an exceptional care is to be taken with the cleaning of the house and kitchen which is a very important part of the house. During winters a stale and weird smell is produced which can sometimes be very annoying. Weather being dry at some places can cause cleaning of utensils very difficult. I have seen many people worried regarding these winter cleaning problems. 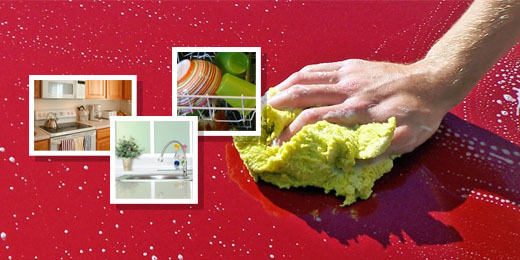 It is better to keep your kitchen clean and tidy always so that the cooking becomes easier and safer for your family. To help my readers I have compiled some Kitchen cleaning tips for December, which is normally the starting month of the winter season throughout the world.